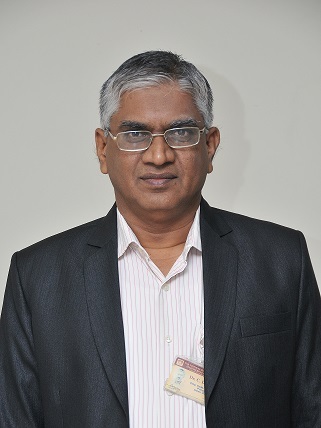 Dr.C.D.Naidu, an able administrator and accomplished educationist, started his career in the Institute in the year 1997 and has worked in the capacity of Vice-Principal, Dean-Academics, Professor & Head-ECE Department. He was formerly associated with Vasavi College of Engineering, Hyderabad and KSRM College of Engineering, Kadapa, Andhra Pradesh. A warm and easy to approach personality, Dr.C.D.Naidu maintains a positive and constructive approach with the parents, students, staff and management and all stake holders. He is a source of inspiration to the staff and students to excel in their endeavours. Ph.D in ECE from JNTU, Hyderabad. M.Tech in Instrumentation & Control Systems from S.V.University, Tirupathi, Andhra Pradesh. B.Tech in ECE from JNTU, Anantapur, Andhra Pradesh. Instrumental in establishing laboratories in the department of ECE, he has been providing guidelines to establish inter disciplinary labs. He actively participates in R&D activities in the Institute and constantly monitors the progress of various research projects taken up by the students. He has published and presented 24 papers in International and National Conferences and Journals.